The rapid pace of technological advancement is transforming virtually every aspect of our lives – from the places we shop to the ways we work; from the media we consume to how we plan our leisure time. 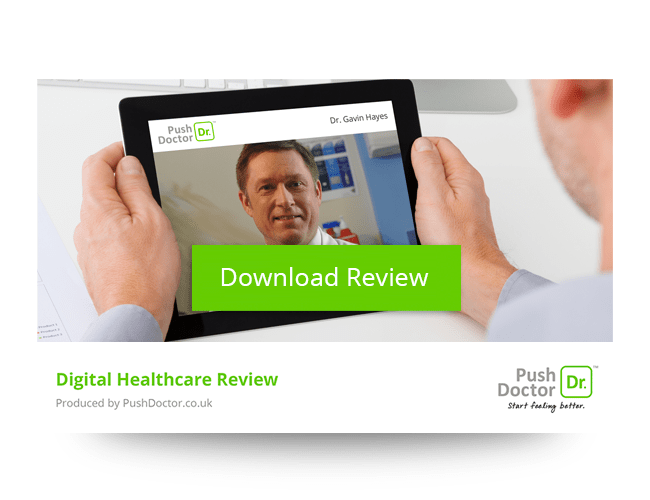 Our experience of healthcare is no exception to this trend and in this report, we’ll chart the progress of the digital healthcare revolution to date and demonstrate how technology is becoming increasingly integrated into our everyday healthcare experience. The Digital Health Trends Review is based on a survey of 1,014 UK adults, conducted in February 2016. People have progressively become used to managing their lives through the medium of connected technology and have become impatient for changes in the way they interact with advisory and care services. When asked how they currently use technology to manage their healthcare, our respondents revealed the most common tasks were ordering repeat prescriptions (29%), contacting an online doctor (23%) and consulting with a doctor via video (18%). The worst cities in the UK for presenteeism. Our UK league table of presenteeism reveals that workers in the midlands feel the most pressured to go into work when they feel sick, with Bradford (38%) and Birmingham (32%) coming top of the results. Talk face-to-face with a UK GP through our app or website.